Stockings lovingly stuffed with goodies are one of the best things about the holidays. 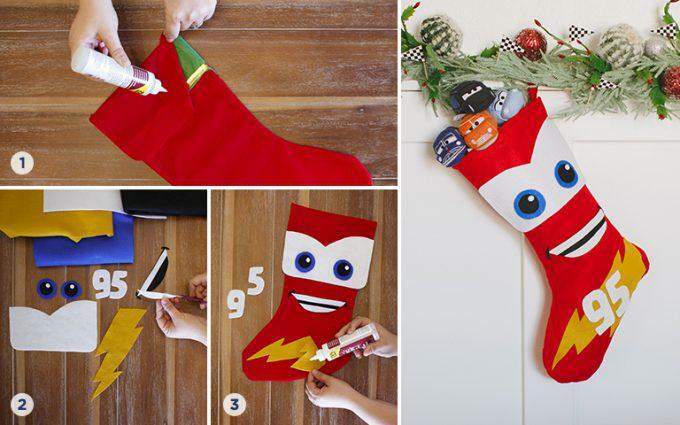 This year, craft your own from our three easy DIY Christmas stockings overflowing with Character. With just a few snips and a dab of glue, jolly ol’ Santa Claus will have the perfect place to drop his toys. Mickey and Minnie Stockings. Oh boy! When it comes to the holidays, you can’t go wrong with tradition. 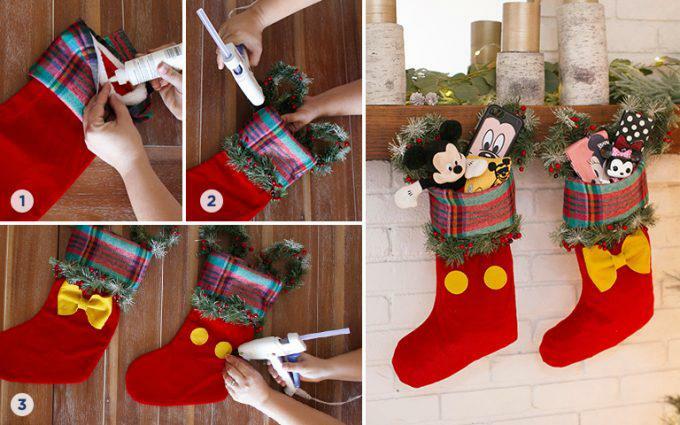 With a few simple modifications to a standard Christmas stocking, this classic design can become either a Minnie or Mickey . . . or, why not both? Adhere plaid fabric to cuff the top of a red stocking using no-sew glue. Use hot glue to attach mini-wreaths to the back of the stocking and greenery along the bottom of the plaid cuff. For Minnie, tie a gold felt bow. For Mickey, cut gold felt buttons. Attach with hot glue. 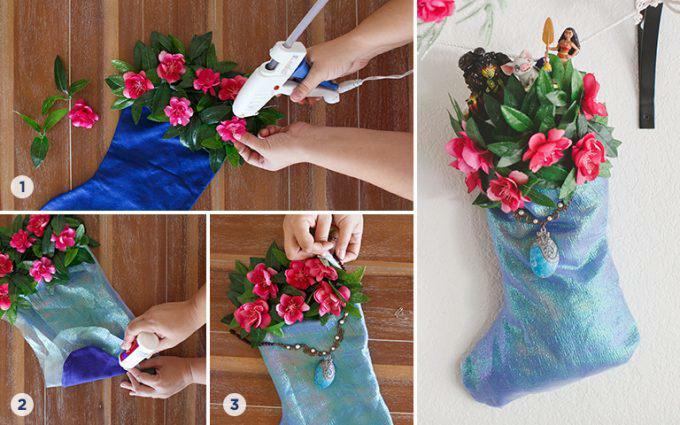 The Moana Stocking. You’re Welcome. There’s no need to ask how far you’ll go to have this gorgeous Disney stocking stuffed with all the bounty of the islands. Glue leaves and pink island flowers to the top of a medium blue stocking. Cut out a layer of sheer blue fabric for the stocking, leaving 1-inch of space around the edges. Wrap the edges of the fabric around the back of the stocking and adhere with no-sew glue. Secure the Heart of Te Fiti necklace around the stocking with safety pins. For the kid who has to be first down the steps on December 25th, this souped-up Disney•Pixar’s Lightning McQueen stocking shifts the holidays into high gear. Cover a red stocking’s cuff by adhering a strip of red felt with new-sew glue. Using the provided template, cut all pieces for Lightning McQueen from appropriately colored felt. Layer and attach all felt pieces with new-sew glue. When it comes time to fill your mantle-hanging masterpieces, Disney Store has everything you need. From Moana play sets to Mickey plushes, Tsum Tsum to vroom vroom, there’s plenty to fill a stocking from top to toe. 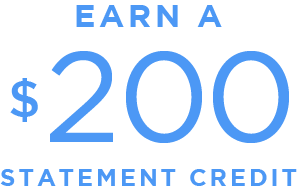 And Cardmembers, shopping for stocking stuffers is the perfect time to redeem your Disney Rewards Dollars toward purchases at Disney Store or DisneyStore.com.1 Not only can you give everyone just what they wanted this Christmas, but you can also give the guy in the red suit a well-deserved break.